The blockchain world is booming. And for ModulTrade, a smart-contract blockchain-based trade ecosystem, blockchain is both foundational and the future. Headquartered in London, the ModulTrade ecosystem will democratize global trade through blockchain technology. 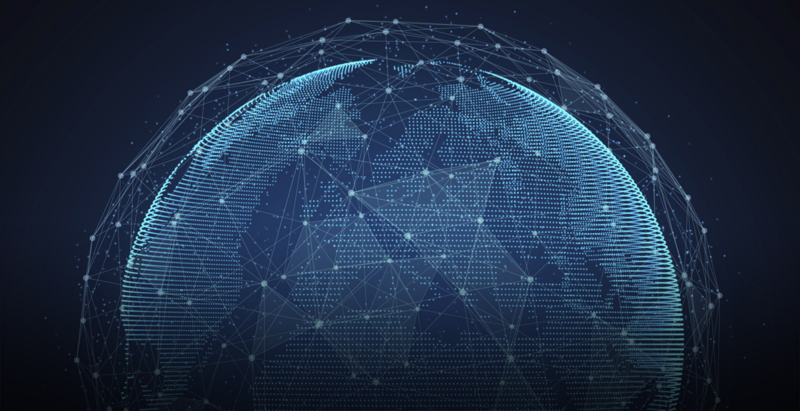 They aim to connect small and medium enterprises to global trade through four main components: a blockchain-based smart contract platform, a trade-related services platform, a trade and reputation bank, and a marketplace through which to meet, connect, and execute. Artem Radchenko, a Product Designer at ModulTrade says, “The problem we solve for small businesses is eliminating the traditional barriers for entry into global trade, such as: lack of trust, high entry costs, and the complexity of trade-related operations.” Topcoder and ModulTrade are both in the business of democratizing certain solutions and processes, be they blockchain-based trade or design and development work. We spoke with Artem about their experience getting design work done through Topcoder and the main benefits of crowdsourcing. Before Topcoder, ModulTrade simply hadn’t designed a user experience. They enlisted Topcoder’s help to come up with a design solution for their responsive website that would make the three-step trade process simple and convenient for the end user. ModulTrade used Topcoder Connect, our self-service platform, to produce the designs via the Topcoder Community. First, Dmitry Shipilov, ModulTrade’s Technical Lead, wrote the full description and project guide, and communicated with Luis Millan, their designated Topcoder copilot. Once the design work launched, Artem led the team through the scoring and evaluation of each stage — to organize feedback for designers and ensure brand guidelines and messaging were always clear. Ultimately, he says they received more submissions than they expected to get for the MVP. In under two weeks, ModulTrade was able to show something to their partners that Artem says is “undoubtedly good.” With Topcoder’s help, the ModulTrade team was able to reach a consensus about design without wasting time. The end result is a design that conveys reliability, ease of use, and efficiency — all part of ModulTrade’s vision for the future of global trade.